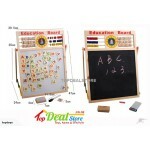 Brand NewWooden Magnetic Whiteboard, Blackboard Easel & AbacusThe board has both sides for drawing .. 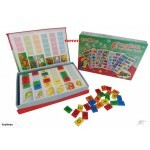 Brand New in box This is a perfect gift for your little ones! 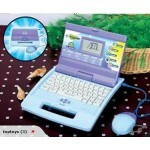 The fantastic kids’ laptop computer ..
Just $19Brand New in BoxNo Ink! No Paints! 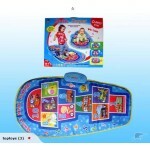 No Mess!The aquadoodle musical play mat is a fun, educati.. 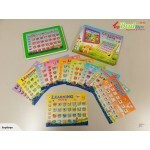 Brand New in boxThis is a perfect gift for your little ones!The fantastic kids’ laptop computer will..
Just $15Brand new in boxThe complete combined spelling and fun learning centre comes with 12 glossy .. 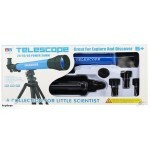 Brand New in BoxThis is an auction for kids telescope with 3 lens of different ranges. 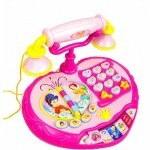 It’s a great ..
JUST $25.00BRAND NEW IN BOXCount one to ten brightly colourful musical play mat Press the diiferent ..
On Sale!Brand New in BoxThe Princess Telephone has a mode selector switch, 10 light-up number button..
ON SALE!ONLY $15Brand New 11 in 1 Touch Screen Musical - Learning PadIt’s a brand new tablet look al..